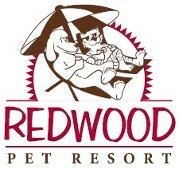 Whether you’re a busy professional or you and your family are going on vacation, the team at Redwood Pet Resort in Milton offers a clean and safe environment for your pet to relax and play while you’re away. Our large open concept facility equipped with a playground and ample space, ensures your companion is entertained throughout the day. Our number one priority is to provide a home away from home where your pet can interact and exercise through our boarding or daycare services. Give us a call today or fill out the form provided. We can answer any of your questions regarding our pet accommodations, pet care packages and more.